Six to twelve berth, short breaks and weekly hire available March - November. 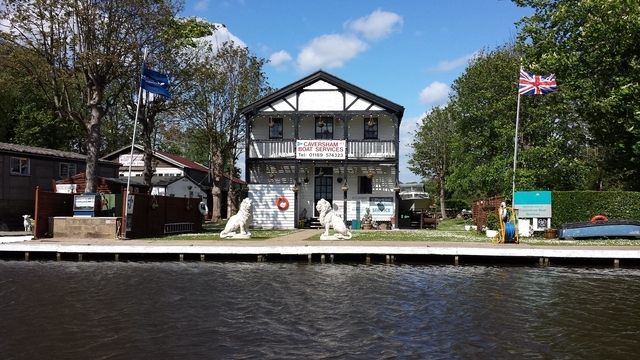 Caversham Boat Services are offering a range of comfortably furnished and fitted cruisers and makes an excellent starting point for your holiday. 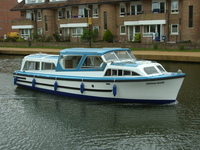 The base is centrally located with a choice of cruising either west towards Oxford or east towards Windsor. Free wifi can be provided if booked in advance. A non-refundable damage waiver of £70 (Royals £90) is charged, PLUS a £150 per week ( £100 for half week) refundable deposit less the cost of fuel. Buoyancy aids are provided free of charge and MUST be worn by all non-Swimmers and Children. Whilst underway keep inside the seating area. It is not funny or cool to rock the boat, its stupid and endangers the safety of all on board. At least two persons on board must be over 18 and accept responsibility for the group and provide proof of home address and telephone number. 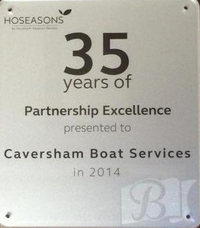 Caversham Boat Services reserves the right to refuse hiring self drive craft to persons or parties without giving any reason. Whilst we endeaver to provide all the services advertised, we cannot be held liable for disruptions or cancellations due to inclement weather, closure or stoppages of the navigation. We reserve the right to alter or cancel cruises if the safety of the vessel or any of its passengers / crew is in doubt. We reserve the right to refuse hire to any person without giving any reason. Passenger numbers limited by law. Please avoid embarrassment by not asking to carry more than the legally permitted number.